Sandblasting is a general term used to describe the act of propelling very fine bits of material at high-velocity to clean, etch, or remove a coating from a surface. 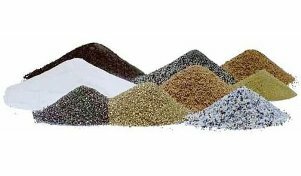 Sand used to be the most commonly used material, but sand is hard and not suitable to many surfaces and desired profiles. Therefore, other materials are now used in its place, known as media blasting. Any small, relatively uniform particles will work, such as crushed glass, walnut shells, powdered abrasives, coconut shell, garnet, and copper slag. 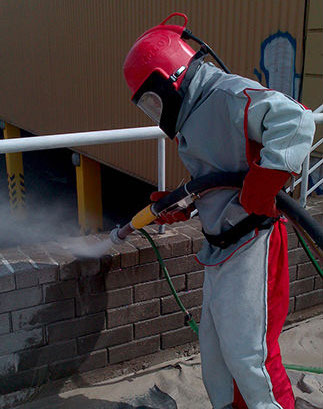 Using a variety of blasting media allows the contractor to select the best abrasive for the project. For example, if a block wall has been tagged with rattle can paints, a light abrasive such as walnut shells or baking powder will be used to remove the paint so that the block surface will not be damaged. We provide this service to our patrons and it is always recommended to do a pre-blasting mock-up to ensure end-user expectations are achieved.